It’s BBQ season! My favorite season and last night I had some gal pals over for some food and drinks. My friend Katy brought over the fixings for this delicious appetizer. It was the perfect starter for our steak dinner and a total crowd pleaser. Pre-heat your bbq and set the temperature on low. Clean the mushrooms and remove the stems (but save them for step 2!). Set the mushrooms aside and Melt the butter in a small frying pan over med high heat. Chop your mushrooms stems, shallot and garlic into small piece. Add your chopped veggies to your pan with the melted butter and saute until soft; about 5 minutes. While your veggies are sauteing: In a bowl combine the blue cheese and cream cheese and mix until soft and creamy. Once your veggies are ready add the hot mixture to your cheese and mix well. Spoon the mixture into the mushroom caps filling generously. Place the stuffed mushrooms on the hot grill and cook until the cheese in golden brown and the mushrooms are soft and cook throughout (about 15 minutes or so). BBQ Mushrooms stuffed with blue cheese slide show: A new way to discover the steps to delicious foodventures! A few weeks ago, my super singing friend Todd came over and taught me how to make Dumplings. We created 3 different delicious dumpling recipes all made with the same pork base. I was surprise by how easy dumplings where to make. My favorite were the green onion and ginger pork dumplings; fried or steamed they will not disappoint. In a bowl combine your flour and water. Hand Mix well (until it’s smooth), cover and let sit for at least 10 minutes. While your dough is resting prep your pork filling! In a bowl combine your filling ingredients and mix well. Lightly wet the inside edges of your wrapper with water. (Use your finger!) Scoop about 1 tsp of raw filling into the centre of your wrapper and fold over making sure the ends meet. Press down firmly on the ends to seal. Green Onion and Ginger Pork Dumpling Slide Show: A new way to discover the steps to delicious foodventures! It’s weekend! Make some dumplings. I hope that everyone is enjoying a fab holiday season. Be safe! Stuffed Jalapeno’s Wrapped in Bacon. This dish went so quickly that I didn’t even have a chance to snap a photo of the final product. My mouth is watering just thinking about it. The cream cheese and the bacon really calm the heat of the jalapeno, so don’t worry, even someone who doesn’t like spicy food will enjoy this appetizer. Friday, Todd and I were enjoying our weekly lunch date trying to figure out a hang out spot for our friend Amy who is visiting from Far far Away. Anyway, it’s Halloween weekend and the parties for enthusiast are plentiful. I have never really been interested in Halloween as an adult (***i do love seeing kids enjoying the holiday! My favorite thing to do is hand out candy and chat with the children. No house=no candy giving) and I especially dislike costumes. I figured a good compromise would be to hold a dinner for Amy and friends as a sort of pre-Halloween party feast and all the other freaks that don’t “do” Halloween would have a refuge post dinner to be merry and drink without the pressure of costumes and what not while the others went off to party their goblin butts off. So in the spirit of excess Todd and I came up with an epic deep fry plan. Menu items include: Pickles, Spring Rolls, Samosas, Tortellini, Ribs, a Duck, Okra, CHips, Anything we can deep fry and a personal fav: Coconut Shrimp. Fry your shrimp in Hot Oil. Deep frying in the dark. The night was a huge success and everyone enjoyed the deep fry fest. Personal favorites: The onion ring starters and Todd’s Dry Ribs! I hope that everyone is enjoying this sunny Sunday Afternoon and cooking up a feast. This afternoon, I am hosting a fall mixer. I have been away most of the summer and I am finally able to catch up with friends and what better way to catch up, than with all of them at once. I am serving an array of fall themed food and hopefully I will be able to post some pics of the different offerings. But at the risk of photo blogging the mixer fails…I figured I would to share this recipe with the world and give you a preview of the day’s treats. This delicious fall themed recipe takes minutes to make and will seriously rock your world. Garnish with roasted pumpkin seeds. On another note, I’m totally hooked on this blog: (Under The Hill), it is thought provoking, funny, heart breaking and informative. A genuine perspective on the government, the people of Canada and world issues. Please take a moment to check it out! As I sit here and type this blog, all I smell is delicious pork…that’s because i just took some Ham and Cheese Scones out of the oven. The blueberry scones that I baked a few weeks ago turned out to be so easy and such a hit that I decided I wanted to try and make a savory scone. You will noticed that the photo’s of the savory scones start with the addition of the ham and onions. You can read more about the basics of Scone Making here from my previous post featuring blueberry scones. Ingredients List: Makes 10 servings. Before you start…Preheat your Oven to 425 degree’s and line a cookie sheet with parchment paper. Cook your onions on low heat for about 20 minutes and add your ham to the mixture once the onions are nice and soft. Once you are ready to go: Mix your dry ingredients into a bowl and then…. Ham, Onions and Cheese! CHeck! I prefer these scones over the blueberry ones but that’s only because of my love affair with pork and cheese. After a month away from home, I leave Ottawa 0n Sunday. I cannot wait to get back and enjoy the fall! Thanks for reading! Enjoy your scones. 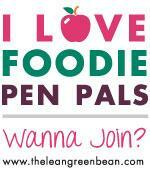 Sign up to receive all the latest Foodventures!